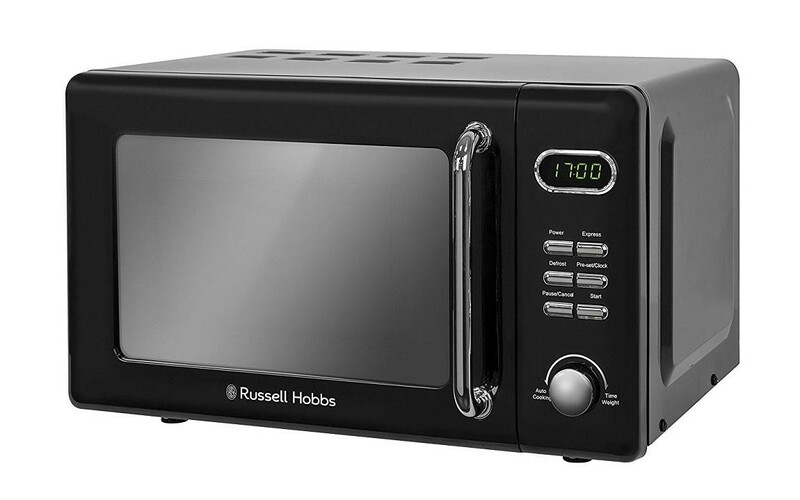 The Russell Hobbs RHRETMD706B Retro Solo Digital Microwave is a great family kitchen appliance allowing you to easily cook, reheat and defrost food. The large 17 litre capacity allows you to easily fit your food inside while the 24.5cm turntable ensures your food gets an even cook by rotating the food. The 700W power efficiently and thoroughly cooks your food while the 5 power levels allow you to cook the food to perfection. The 8 auto cook programs allow you to easily cook foods such as pizza, pasta, fish and more while the time defrost program is great for defrosting food quickly. The timer allows you to simply set the cooking time then sit back and relax and the compact design makes it ideal for smaller kitchens.